Our mission is to provide peace of mind to people using contactless cards, by protecting them from electronic pickpocketing and identity theft with the help of our contactless card security products, such as our range of card clash wallets. 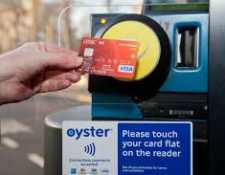 Contactless card security is becoming more and more important as payment cards have the facility to make contactless payments for travel including the tram, tube and national rail services in and around London. This is why we supply people across the UK with card clash wallets, purses and sleeves to prevent electronic pickpocketing. Credit and debit cards are being charged without your knowledge through contactless payments on a daily basis across the UK. As you touch your purse or wallet containing more than one contactless card against a scanner, this can cause your fare to be charged to a card you didn’t intend and thus being charged twice for you travel. With our card clash wallets, which include state of the art contactless card security, this can be prevented. Contactless payments occur through RFID (Radio Frequency Identification), which is the technology that is used to allow contactless card payments. Due to its simplicity and the lack of contactless card security measures in place, criminals have capitalised on the opportunity to be able to scan past you and pickpocket you electronically, without you even being aware. This is why we believe it is essential to have a device such as a card clash wallet to protect you from the fraudsters. For peace of mind, place your contactless payment cards in our secure RFID blocking sleeves or card clash wallets, where they can’t be used by mistake, offering increased contactless card security. Each RFID blocking sleeve is made of high quality advanced paper material, providing puncture, tear, weather and water resistance for all our sleeves. If you would like to increase your contactless card security, take a look at our fashionable card clash wallets, sleeves and purses today and start protecting yourself from electronic pickpockets.